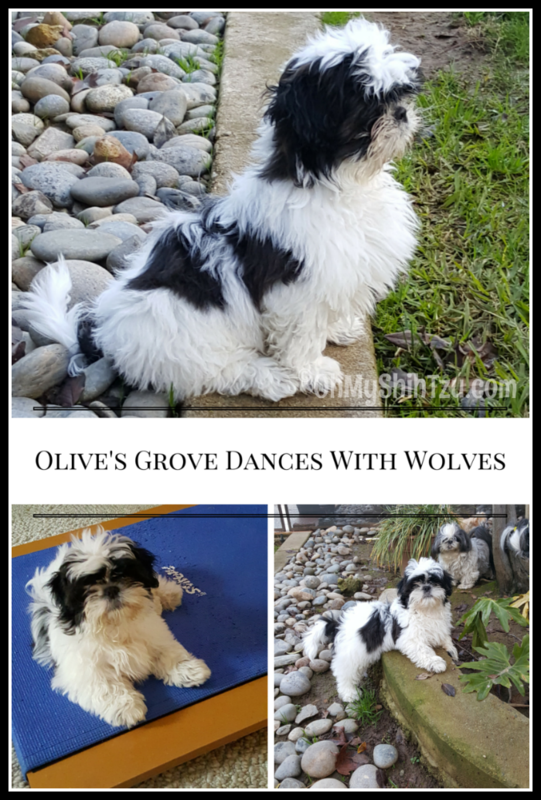 So you have seen a few glimpses here and there, but today I want to formally introduce everyone to our new Shih Tzu puppy, Olive’s Grove Dances with Wolves, aka Kevin! I am so happy to have Kevin as a part of our family. He is showing great promise at being an amazing agility dog, already running the full length of the teeter and riding it down (its lowered to an apex of 4″) and flying through a cat tunnel I bought for inside training. What I love most about Kevin that is different from all the other girls is that he loves giving kisses and snuggles and even little nibbles on my ears. He has an incredible personality and is fearless, which I always have to watch out for as he can easily launch himself off the sofa. If you have Shih Tzus then you know how they often like to take flight! In addition he has a memory like an elephant which causes him to be very willful. Once he figures something out he doesn’t give up on it. So now we begin the journey. The journey of this sweet little athletic boy into an amazing little agility master, barn hunter & lure course chaser! What an adorable new addition! Congrats on your new little cuddle monster! 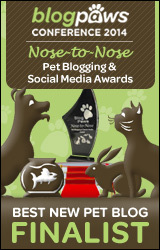 Mary from YourDesignerDog recently posted…It’s My 2nd Blogiversary! Oh my dogness me, Kevin is adorable! Congratulations on your new edition! He is super cute! Congratulations on the new addition. What a cutie Kevin is! Congratulations to you all! Thank you!! We are so happy to have him in our lives. Keep us posted, please. I really look forward to your posts about agility , barn hunting and lure training and contests. Yes I will!! I’ll be posting our training sessions and all our little adventures! Oh so exciting! Kevin is very handsome! Can’t wait to see him in action. How is the rest of the crew doing with him? Everyone is doing great! Riley is his BFF!